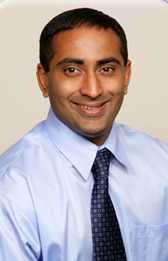 Srinadh Komanduri, MD, from the Feinberg School of Medicine at Northwestern University in Chicago, Illinois shares some take-home points from his article “Radiofrequency ablation for refractory gastric antral vascular ectasia” from the October issue. Gastric antral vascular ectasia (GAVE) is a cause of upper GI bleeding and chronic anemia. Although upper endoscopy with argon plasma coagulation (APC) is an accepted therapy for GAVE, many patients continue to bleed and remain transfusion dependent after therapy. Radiofrequency ablation (RFA) may provide an alternative therapeutic option for GAVE. The current prospective open-label study was performed to evaluate the efficacy and safety of RFA for patients with GAVE. There remains a need for better therapy for GAVE. The impact of this disease is significant in terms of continued hospitalizations and transfusions. Currently, the standard of care, APC, remains a suboptimal solution in many patients. Figure 2. A, A representative photograph of the classic “watermelon” appearance of gastric antral vascular ectasia. B, Gastric mucosa after 1 application of the HALO90 ULTRA ablation catheter. C, Gastric mucosa after complete ablation with the HALO90 ULTRA ablation catheter. We investigated 21 patients who failed APC and were transfusion dependent. After a median of 2 sessions of RFA, 86% remained transfusion-independent for 6 months and required no further therapy. This study validates RFA as a safe and effective option for GAVE when APC is not effective. It should be considered in the future for these cases. Who did the initial APCs on these patients that failed? Fellows, academic GIs or community GIs? How many APCs were done and how aggressive were they done before the cases were declared APC failures?